No matter how absurd the theory, as long as it's wrapped in conspiracy, the paranoid will accept it , as their brain is constantly in conspiracy-theory-mode , a manifestation of which is the phenomenon colloquially-known as crank magnetism. Surely there's a more suitable forum for tkadm30, e.g. Above Top Secret , you'll find kindred-spirits there , but not much logic. ....but it doesn't work. My simple easy to understand graphical analysis of WTC7 that definitively concludes intentionally placed energetic materials brought down the building has been sitting there empirically unassailed in any way shape or form (with over 50,000 views) for about a year and a half and to date none of you (Dr. Calverd, Bored chemist, Dr. Smith, Don_1, PmbPhy, CliffordK, JP, evan_au or any other members here) can seem to manage to even address it let alone break it or show any aspect or feature of it to be incorrect by simply copying and pasting even one of the many simple animations (formatting guided by Dr. Calverd) along with a bit of accompanying descriptive text that says anything like "This animation and accompanying descriptive text is incorrect, the scenario (target system) being compared to the control (source system) would not play out as depicted/described and here's why...." followed by any kind of simple cogently elucidated explanation of some perceived error or needed correction, nor have any of you provided any other more plausible empirically verifiable explanation for the buildings videographically documented destruction that supercedes it.... yet here you are, continuing (at least it appears to me) to personally attack people, make derisive remarks and post insulting links that include references to people being cranks, mental instability, paranoia, nutty conspiracy theorists etc. The analysis (of WTC7) is either correct or it's not, it's just as simple as that. If no one can break it or show some aspect of it to be incorrect in the above described manner.... then it is in fact proponents of the official narrative like you that are actually exhibiting all the mental defects you are attributing to others here.... it is proponents of the official narrative who continue to irrationally argue against Isaac Newtons immutable Law of Conservation of Energy as applied to a falling body.... it is proponents of the official narrative who flatly refuse to recognize the veracity of a simple high school level graphical empirical analysis.... it is proponents of the official narrative who are in complete denial as to what really happened and who delusionally continue to refuse to accept reality.... and it is proponents of the official narrative who revoltingly continue to maliciously attack people with cowardly name calling and invented stigmatizing labels like "mentally unstable conspiracy theorist nut case" amidst the endless repetition of the same suspiciously formulaic unscientific nonsense mixed with insults over and over again without ever providing any empirically verifiable support for their point of view or any rationally structured objection to the empirically verifiable data cited by others in support of their views either. ....so come on and bring it. I challenge any and all of you, come on and prove me to be an idiot. Radio Show & Podcast Feedback / Re: Why do dogs turn in circles before lying down? 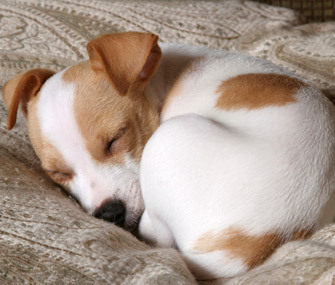 If you ever watched a dog sleeping in the cold, they will ball up in a circle to conserve body heat. Another possible answer is as they circle, they spiral downward into their resting circle, with little waste of motion. This action may also adjust the sleeping surface to allow the best insulation R-value. I really just have to say here that that's simply the most adorable picture I think I've ever seen posted in a "Cells, Microbes & Viruses" science forum!